In a world of duality, there is a perennial dispute between skill and spirit, between brawn and belief. Nowhere is this contrast more visible than at the world’s most celebrated sporting event, the Olympics. The grand quadrennial competition was split into its two halves, the much-covered Olympics, and its less celebrated brother, the Paralympics. Why, we ask, do the Paralympics play second fiddle? A teeming swarm of supporters flocked every arena, ground and track at the Olympics, with both home fans and people severely jetlagged from flying over 2000 miles to come to Brazil putting on their finest display of support. 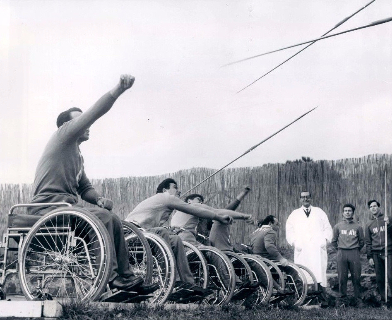 The Paralympics, however, received no such glamour. A handful of fans seated embarrassedly, letting out quiet screams of exultation as their less-than-celebrity sporting idols achieved the impossible was the shameful sight we were greeted with. The average fan of the Olympics with access to the news can name at least ten gold medallists off the top of his/her head, but struggles to name a single winner at the Paralympics. The media coverage that the Olympics got was the small matter of a total of 100,000 hours of digital video content, more than ever before in the history of the event. The Paralympics received a mediocre 680 hours of official coverage, in stark contrast with its superior cousin, the Olympics. A total of 29.6 billion Brazilian real were invested by public and private sources, a behemoth compared to the controversy-ridden USD 8 million cut that the Paralympics faced, resulting in not being able to fly athletes in from certain parts of Africa and Asia. Why does this divide exist? ” - several discussions are sparked off. A possible conclusion, one that humanity would do anything to wash off their hands, is that people just don’t care about the Paralympics as they do about the Olympics. Media companies, investors and even professional sports analysts with their own TV shows can’t be held to blame because their job is to milk out the demand of the general public, and if this is what the people want, then the agencies of coverage will supply exactly that. The more pertinent idiosyncrasy here is the staunch bias towards the more glamorous Olympics, and the media feeding the world more and more about this event only increases its emphasis. The vicious cycle finds the Paralympics hopelessly lost in the eye of the storm. Today, we are almost compelled to ask if the main reason people aren’t watching the Paralympics is because no one wants to broadcast them. The sinusoid of the coverage battle has reached its incongruous trough, and only the world media has the power to fix that. When did the two events commence? The first ever Olympics were conducted in the 8th Century BC, in Olympia, but were modernized by the formation of the International Olympic Committee (IOC) roughly 2700 years hence, in 1894. The IOC remains the supervisory body for the Olympics to this day. With all 204 registered countries a part of the IOC, 5 nations, namely Australia, France, Greece, Great Britain and Switzerland, have competed in all 27 modern Summer Olympics. Born as a group of British World War II veterans in 1948, the Paralympics have now grown to become an international event governed by the International Paralympic Committee (IPC), which suffers a large budget shortage as compared to the IOC. 4,342 athletes came forward for the 2016 Summer Paralympics, compared to the 11,303 at the Olympics. 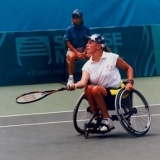 Still, this edition of the Paralympics is considered one of the biggest breakthroughs in the history of the event since Seoul ’88, when the Paralympics were first conducted directly after the Olympics using the same venues and infrastructure. Where does this inequality put us? The painful discrimination between the two events is based on a completely untrue view point of the Olympics. 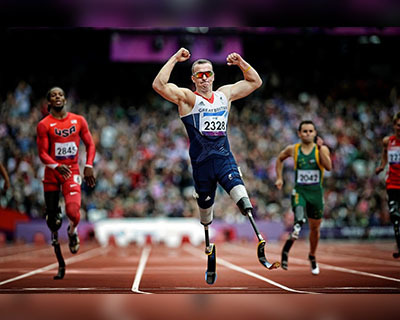 While many people believe that the Olympics require superhuman levels of skill, commitment and training, they often forget that Paralympians do all that to merit a place at their Olympics, but with the added setback of a physical or physiological disability. To be able to not only sidestep a physical handicap, but to excel at activities that primarily require full health and fitness is beyond extraordinary. These heroes have put years of mental and emotional instability, trauma of the handicap, social stigma and jeers from society upon announcing their intent to be professional sportspersons on the backburner, to achieve what is virtually impossible. Watching men and women with only one functioning hand throwing a javelin beyond 60m, or to see visually impaired individuals score beautiful goals on the football pitch instils an eerie sense of respect and humility towards these achievers of legendary status, who deserve to be merited just as much as the Olympians, if not more. 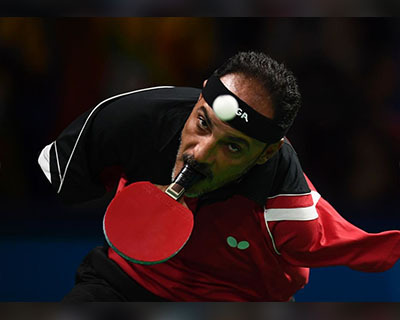 Who are some big names at the 2016 Summer Paralympics? 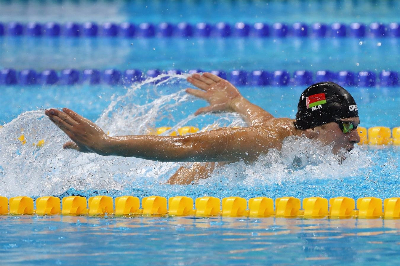 Belarus’ visually impaired swimming champion Boki Ihar leads the medals tally with 6 golds and a bronze. In fact, of the top 20, only 3 medallists are not swimmers. They are USA’s McFadden Tatyana (4 gold, 2 silver) and China’s Zhou Hongzhuan and Jingjing (3 gold, 1 silver each). China have absolutely run away with the country-wise medal tally, standing atop the pile with 239 medals, a solid 92 medals above Great Britain in second. Hosts Brazil asserted their football dominance by clinching gold in the men’s 5-a-side, bronze in the men’s 7-a-side and bronze again in men’s goalball. India’s Paralympic contingent has outdone its Olympic counterpart at the world’s largest eclectic sporting event, by bagging 4 medals (2 golds, 1 silver and 1 bronze). 119 Olympians represented India and returned home with 2 medals, while 19 Paralympians have already bagged 4. 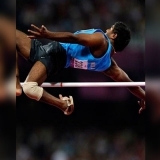 Varun Singh Bhati won bronze in the men’s high jump and Deepa Malik brought home silver for women’s shot put. Mariyappan Thangavelu and Devendra Jhajharia were the undisputed heroes of the Paralympics however, with their men’s high jump and javelin throw golds respectively. How can we rectify this inequality? In the information age, the world cannot escape with the excuse of the Paralympics not being televised. The facet of this disparity that we need to correct is the lack of a want to follow the Paralympics, which in itself is an absurd predicament. The more the stories of Paralympic heroes are circulated amongst the citizens of the world, the more aware we become of the impossible feats of strength and character that these athletes display. The inspiration that can be gained from hearing about and watching these athletes in action is immense, and the world would do well to seek to end this abysmal divide, and all in all, give the Paralympians the respect they deserve. The Paralympic T13 1,500m final witnessed an extra-ordinary outcome as the top four finishers (visually impaired) achieved quicker times than the Olympic Games gold medallist of this year. 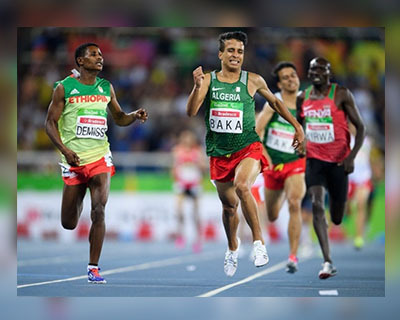 Algeria's Abdellatif Baka won gold with a world record timing of 3mins 48.29secs for victory, more than 1.7 seconds faster than American athlete Matthew Centrowitz who won gold at the Olympics last month. Incredibly, even the fourth finish timing of 3:49.84 was better than that of Centrowitz. They say that the Paralympics sports are not on the same ‘level’ as the Olympics sports. They may be right. 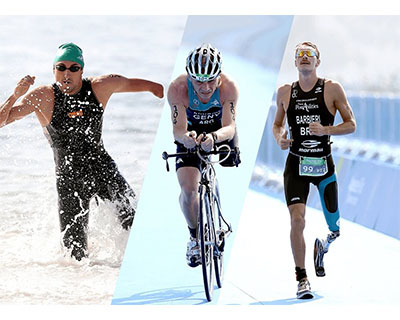 These four men proved it in Rio.